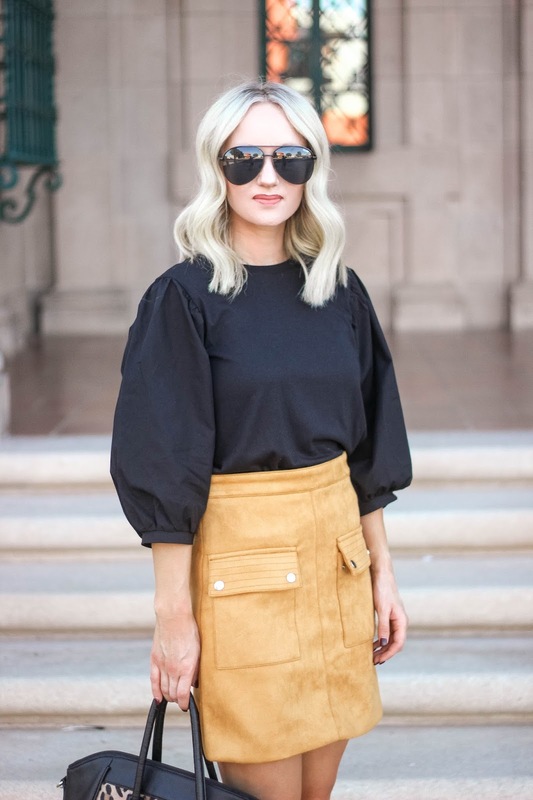 For the past month, I have been searching high and low for a mustard skirt for Fall. I looked everywhere, you name it and I couldn't find anything that I really loved. Then I saw this one from Goodnight Macaroon and had to have it. I paired it with the perfect Fall black booties for chic Fall look. They seriously can be worn anyway and with anything. And both items are currently 40% off (with code COZY40)!